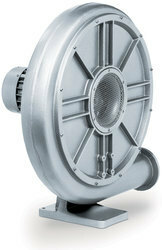 We are a leading supplier of a wide range of radial blowers. These are widely demanded for moving air and material in various industries such as cement, power, mining, coal treatment, pollution control, oil and gas, ethanol and steel. 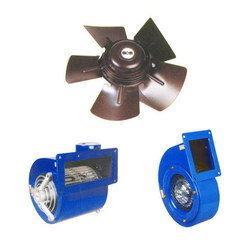 We Offers Radial Blower for the use and application of a Fan or Blower in a system is more important than the consequences associated with environmental or health issues brought about by industrial process air pollution which generates the need for a clean environment, safe work place and uncontaminated air to breath. Our company has been acknowledged for offering Radial Blower to the clients. This product is highly appreciated for attributes like compact design and low power consumption. Radial Blower is available in various specifications as required by the clients. Offered range is checked by quality controllers on various aspects. We are one of the best organizations in the market, involved in offering KRD Radial Blade Blowers to the customers within the stipulated frame of time at very affordable rate. We are manufacturing wide range of Extra Heavy Duty Radial Blowers.